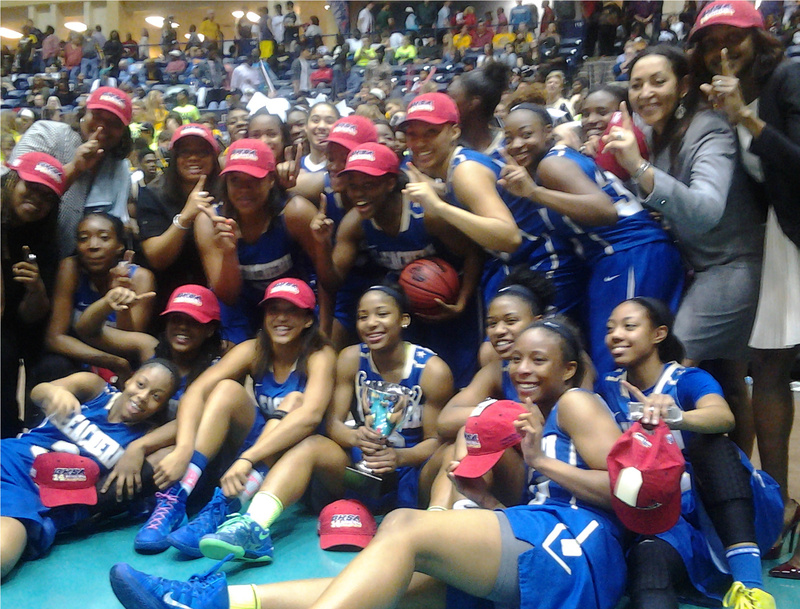 The McEachern Lady Indians won their second state championship in three seasons in Georgia’s highest classification. McEachern (29-2) finished No.14 in the USA Today Super 25 and No.15 in the Max Preps Xcellent 25 in the final national rankings released last week. No other Georgia team finished in the top 25 in either poll. Undefeated Redan (34-0) won Georgia’s class 4A championship, finishing 26th in the USA Today Super 25. Blackman (TN) (34-1) finished No.1 in both polls and are considered the “national champions”. Blackman defeated McEachern 74-67 this season. McEachern will return leading scorer T’ea Cooper, leading rebounder Caliya Robinson and rising star Jada Lewis next season. Their full schedule for next season has yet to be completed but we can confirm they have scheduled road games against Georgia powers Parkview, Southwest Dekalb, Holy Innocents and this past seasons class 3A champion St. Pius X. The Lady Indians went 26-0 against Georgia opponents last season, winning five state playoff games by an average of 32.4 points. McEachern will seek to continue their trend of scheduling national opponents next season. They are slated for a trip to Duncanville (TX) and one or more high-level tournaments that will include national opponents, details have not been finalized. Duncanville finished 35-1 this season, ranked No.8 in USA Today Super 25 and No. 12 in Max Preps Xcellent 25 final rankings and had their 105-game winning streak snapped in the Texas 5A state finals.